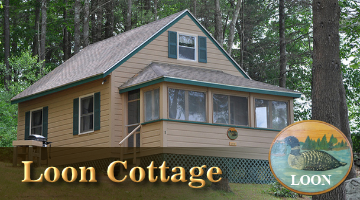 Angell Cove Cottages offers a unique geographic location in South Central Maine. We are close to shopping centers, fine and casual dining, theater and entertainment, historical trails and sites. At our facility you can enjoy peace and tranquility on this pristine location. Be aware that the South West Shore of Androscoggin Lake has changed little since the Native Americans walked its shores. Enjoy nature at its best with all the comforts of home. One of Maine's best rental cottage locations with ample amenties to make your stay a memorable one. The Angell Cove House overlooks the seven mile long lake and has access to the lake. It is available for long and short term rentals. 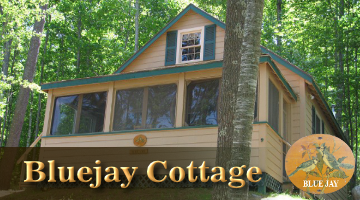 Angell Cove Cottages offers beauty, tranquility, and privacy in a hideaway paradise that is unsurpassed. Androscoggin Lake comprises 3,826 acres and features some of the finest bass fishing in Maine. Cottages are all set lakeside. 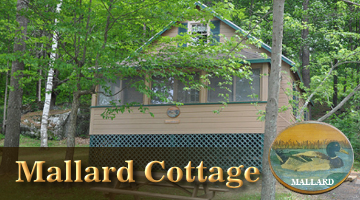 Each cottage offers a unique & personal touch by having its own Maine wildlife theme. Handmade quilts, decor, and attention to detail create a "feel at home" atmosphere. Additionally, we offer exceptional views, wildlife watching, and the opportunity to enjoy a variety of recreational activities on the lake. The area also includes three of Maine's best golf courses, Maple Lane, Springbrook and Turner Highlands. Both are just a few minutes drive from Angell Cove. Our goal is to provide an enjoyable and affordable vacation experience. We are not just a summer retreat! Come and experience the breathtaking fall foliage of Maine. Angell Cove is located in south/central Maine which is prime for viewing New England's spectacular fall foliage. The peak foliage is from late September to the middle of October. These unique condominium cottages are for sale as well as for rent. The community cottage property consists of aproximately 25 acres and 1100ft of community cottage shoreline. This is a pristine area and has changed little since the Native Americans walked its shores. Considered a real jewel, Angell Cove has to be seen to be fully appreciated. Strategically located in south central Maine, the cottages are just 20 minutes from the capital of Augusta, 50 minutes north of Portland, and an easy drive to Boston of 3 hours. For more information call Barbara Angell at 207-524-5041 or write to Barbara at PO. Box 29 Leeds, Maine 04263. Serious inquiries only.